How are Cloud Services Disrupting the Insurance Industry? Nimble will be the new normal in 2017 as insurance companies confront a marketplace that is changing more drastically than perhaps ever before. In addition to macroeconomic, social, and regulatory changes likely to impact the industry, insurers are coping with longer-term, game-changing trends including the increased connectivity among household and workplace devices, the development of autonomous vehicles, and the rising threat of cyber attacks. Deloitte’s outlook for the insurance industry is all about technology. Perhaps that’s because the insurance industry is finally being forced to adopt new business models that center around the cloud technology that has become a staple in every other industry on the planet. We’re talking about the transformation of the last holdouts that have been reluctant to adopt cloud technology. Insurance, finance, and banking – even the most traditional industries are going to the cloud or adopting hybrid models that include on-premise and cloud-centric models. How can this migration to the cloud help insurers stay competitive in a digital world? From a new party in the White House to Brexit in Europe, global economies have ventured into new territories this year. Insurers, ever conservative in the face of change, have responded by tightening their belts. In this new economy, insurers are seeking cloud solutions as a scalable and affordable option in response to consumers who are demanding the immediacy of the Internet. Property and casualty have been hit hard by the recent increase in adverse weather events. According to Deloitte, infrastructure modernization is still a key priority for these providers. 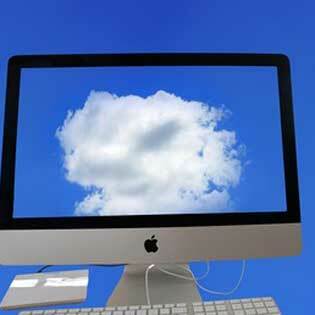 Cloud service opportunities include mobile claims and data warehousing. Life insurance providers are facing an uphill battle in an underinsured market. Opportunities include advanced data analytics to assist with targeting mid-market consumers and robotic process automation to streamline operations. Health insurance has been in flux thanks to the on again off again Obama care repeal. The new influx of wearable Internet of Things (IoT) devices has changed the way insurers and medical providers monitor consumer behavioral and physical data. All of the data captured via these devices is both a challenge and an opportunity. Health insurers are increasingly moving their data to the cloud in order to cope with the influx of information. Auto insurers have had two potential disruptors this year. First, the rise of the autonomous vehicle and how it may impact the industry. Second, an increase in insurtech startups focused on this sector has changed the industry forever. Deloitte recommends a widespread embrace of cloud services models for the insurance industry to stay competitive. Developing new products, expanding digital distribution and virtual services, while managing cyber security threats, all made it into the 2017 market forecast for insurance providers. Don’t get left behind, get a free assessment of cloud services and find out more about how your agency could benefit. To stay ahead of insurance industry technology trends, consider partnering with a cloud services provider to help create and implement a strategy to capitalize on new cloud models. Request a quote on TOSS C3 managed cloud services; we would love an opportunity to partner with you.